Forget the headache of hanging plywood! Privacy panels are lightweight black panels made to match the lower portion of the stall for a sleek, uniform look. They are fitted with pre-drilled holes at each corner for easy installation with zip-ties. Panels can be placed on the left side, right side, and back stall walls for enhanced privacy from neighboring stalls on three sides. Stall privacy panel rentals are reserved per panel. The cost is $10 per panel. If you would like your privacy panel installed prior to your arrival a $5 per panel installation fee will be charged. 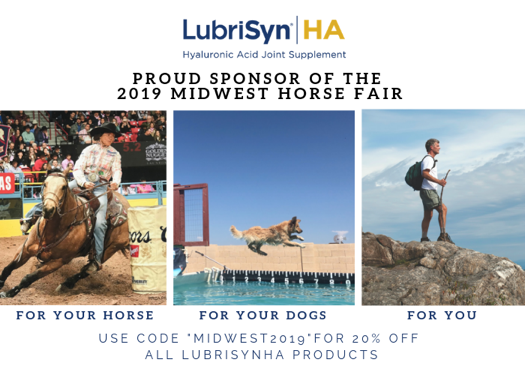 Please note that if you are purchasing installation, the panel may be installed on the inside or the outside of your stall at the discretion of the Midwest Horse Fair installation crew. Please provide your stall number if purchasing installation. If stall number is unknown at the time of purchase, please email stalls number to breeds@midwesthorsefair.com by the Wednesday prior to Fair week. Be prepared to enter payment information as the payment will prompt after completion of this form. Payment is required to complete your order.